Likely 2016 presidential candidate Rand Paul is scheduled to open his Austin office Monday. U.S. Sen. Rand Paul, R-Ky., is preparing to open the Austin outpost of his likely 2016 presidential campaign, a move set for Monday, according to his political action committee. The office, which will be housed in downtown startup incubator Capital Factory, marks Paul's deepest foray yet into a state that could share ties with several White House hopefuls. Heading up Paul's Austin operation is Rachel Kania, the statewide field director for Ted Cruz’s 2012 Senate campaign. She will work in Austin with Vincent Harris, another former Cruz staffer who serves as Paul's senior digital strategist. In a statement, Kania said Paul's operation will be the "most technologically-savvy campaign in the field and his message will inspire and widen the GOP base unlike any other candidate." 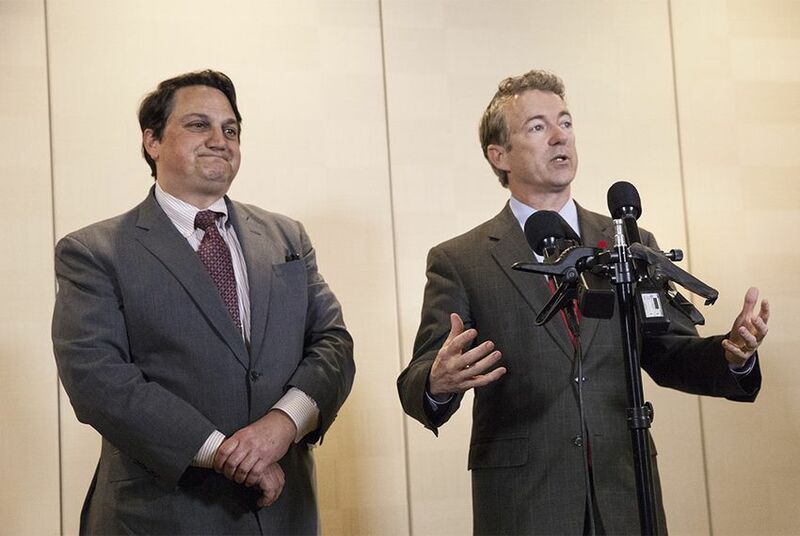 RANDPAC, which has been laying the groundwork for Paul's likely 2016 bid, formally announced Kania's hire Thursday as senior field and technology strategist. Paul will be in Texas' capital city Sunday for an interview with Texas Tribune CEO and Editor-in-Chief Evan Smith as part of the South by Southwest festival. Paul is slated to attend other public events this weekend in the city. The senator is scheduled to be on hand Sunday for the launch of a group aimed at getting more conservative- and libertarian-minded young people involved in politics. The organization, Liberty Action Texas, counts among its founders Brendan Steinhauser, a top Tea Party organizer who last year steered John Cornyn’s Senate re-election bid. Paul, who was raised in Texas and went to Baylor University, has been gradually building a presidential campaign-in-waiting in the Lone Star State. His political action committee has brought on board former Texas GOP chief Steve Munisteri and Harris, whose digital strategy firm is based in Austin.